Today is World AIDS Day, and to mark it we are showcasing Access to Life, a collaboration between Magnum Photos and the Global Fund—the organization that puts all of the money generated by (RED) to work on the ground in Africa and provides a quarter of all international financing for AIDS globally. 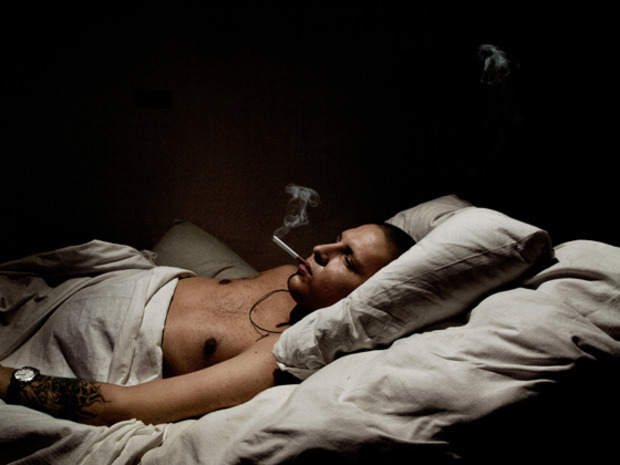 For the project eight photographers portray thirty people in nine countries around the world before and four months after they began antiretroviral treatment for AIDS. 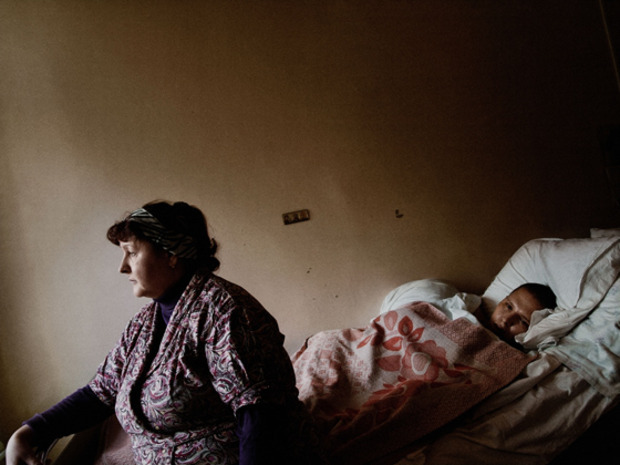 See more photos and read more from Alex Majoli's Russia section of the project after the jump. Are the big challenges privileges for strong human beings? I would like to believe, but it’s not true. Both heroes and criminals have that imperturbability I saw in Igor, Alexey, and Oksana. It is not about courage or will, but simply about the tenacious attachment to ourselves: It’s hard to die, until the end. Many times I tried to imagine what it means to die, until the end. Many times I tried to imagine what it means to die alone, as Alexey did. I tried during my visits at the hospital, where his life was ending. I tried after all the phone calls I had with my girlfriend and my daughter. I still have no idea how that must feel. This is not the first time I’ve faced AIDS in my life, either professionally or personally. I’ve worked on the subject various times before, and I’ve shared many thoughts with close friends affected by the virus. “So why not Russia?” I asked myself when I saw the list of possible countries to work in. I thought of all that Russian literature, from Mikhail Bulgakov to Andrei Makine, the plague, the loneliness among the characters of those novels. The collapse of the Soviet Union has profoundly affected everyone’s pride. And this extends to AIDS. They act like they know everything, when in fact they don’t. What happens in this situation? The whole story is mainly about stigma, about pride, about the lack of information. The stories of the people I met are so sad. Igor was really young when he went to prison and his wife was killed. Oksana had emotionally shut down. Alexey was in very bad condition—he had a hole in his hip; you could see the bones—but with the ARV treatment he was already improving. AIDS wasn’t Alexey’s real problem, however. It was like fighting against a dead man already, because of all his other issues. By the time of my second trip, most of my subjects had died. I felt sad and angry. As Portuguese poet Fernando Pessoa once wrote, “The four walls of my squalid room are at once a cell and a wilderness, a bed and a coffin. My happiest moments are those when I think nothing, want nothing and dream nothing… I savor without bitterness this absurd awareness of being nothing, this foretaste of death and extinction.” Maybe this is what Alexey felt when he died. St Petersburg, Russia, 2007. 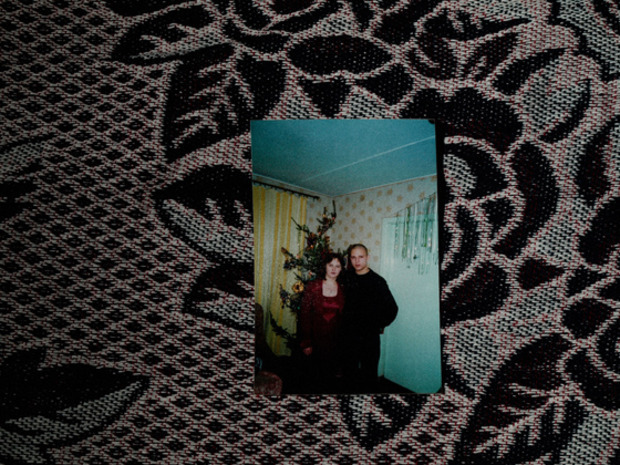 Igor Tereshenko with his mother at Ward 3, AIDS Center and family snapshots from before he contracted HIV. 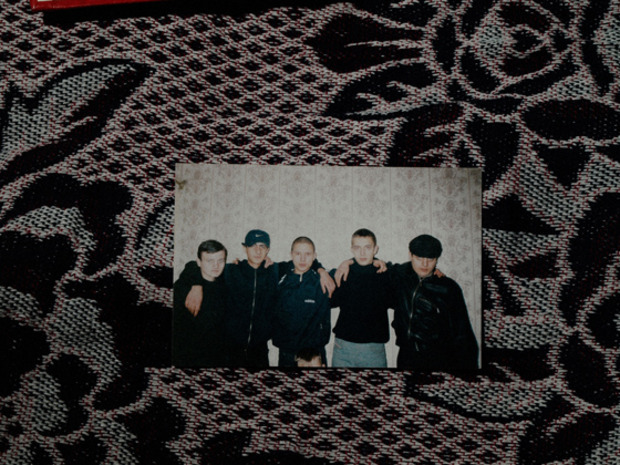 Like many among the “lost generation” of young Russians cast adrift into an insecure future after the collapse of the Soviet Union, Igor, former construction worker, was a heroin addict. He knew he had been infected by a dirty needle, but wasn’t sure when, and found out that he was HIV-positive in 2003, while in prison serving a three-year term for stabbing one of two men who had attacked his wife on the street. (In a sad postscript, his wife was murdered the day before Igor was released from prison.) Igor remained healthy for years after his diagnosis but contracted pneumonia in early 2007. Then, in the summer of 2007, he became paralyzed from the waist down after injecting heroin. At the St. Petersburg Municipal AIDS Center, doctors told him he had suffered a spinal injury of some sort (Igor claimed the ambulance team had beaten him up). The condition forced him to lie motionless, leading to the development of massive bed sores. In fact, doctors discovered he was suffering from a cancerous tumor. Igor’s parents were both strongly supportive. His mother became a cleaner at the hospital, which enabled her to sleep in his room at night and provide constant care. Igor has begun antiretroviral therapy four months before his death on March 18, 2008, from cancer. Although he had made excellent progress with relatively high CD4 count (his immune system had strengthened) and an undetectable viral load, his doctors decided to discontinue his ARV treatment when they realized that he would soon die from his inoperable spinal tumor. St. Petersburg, Russia, 2008. Oksana Nikandrova, who is HIV positive, with her son, Sergei.